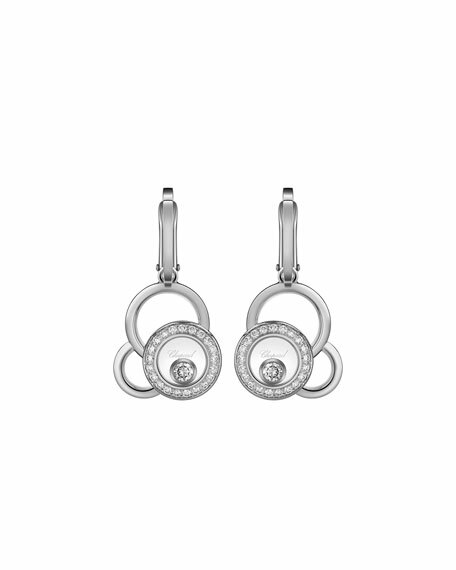 Chopard drop earrings from the Happy Diamonds Collection. Three mixed, superimposed circle drops. 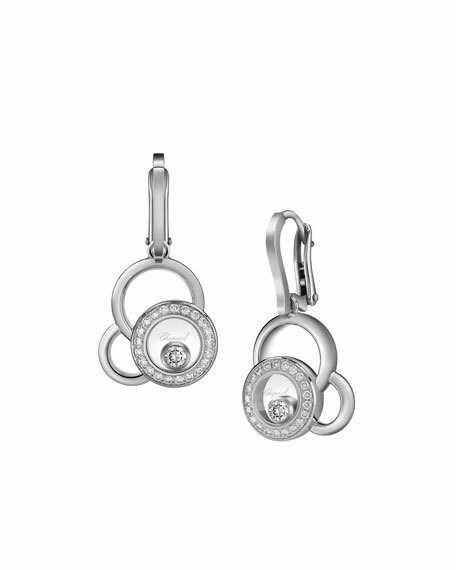 Pavé diamonds trim single circle.